If you’re pricing out manufactured homes in Central Florida, be sure to also consider the community in which they are situated. If you’re looking for a home in an age-restricted environment that offers affordable resort-style living, consider the manufactured homes available at Cypress Lakes in Lakeland. We’re an idyllic active adult community in Lakeland, FL (between Tampa and Orlando), offering homes that are handsomely constructed and appointed to provide low-maintenance convenience so you can spend your days doing the things you love. The exteriors are wrapped in vinyl siding, so you’ll never again have to worry about scraping or painting. Inside, many of our manufactured homes have updated appliances, solid-wood cabinetry, sophisticated stone countertops, and other features that make life in Cypress Lakes a true joy. For golfers, we have two 18-hole courses on site that will provide hours of enjoyable, yet challenging, entertainment. We have a full-time activities director on staff who is responsible for ensuring that there’s always something to do for our active adult residents. The Cypress Lakes fitness center is a state-of-the-art, 5,000-square-foot facility, complete with professional equipment and a personal trainer on staff. But that’s not all! Outside of our community of manufactured homes, you’ll have access to some of the most beautiful natural scenery in the country, and one of the most popular tourist destinations. Whether you want to spend time at the beach, take in a theater performance, or spend time at a world-class theme park, you’ll find it all within a short drive of Cypress Lakes. 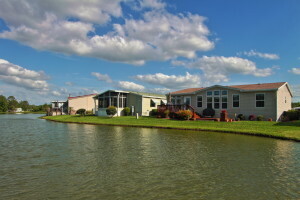 For more information on our manufactured homes for sale, contact Cypress Lakes in Central FL today.